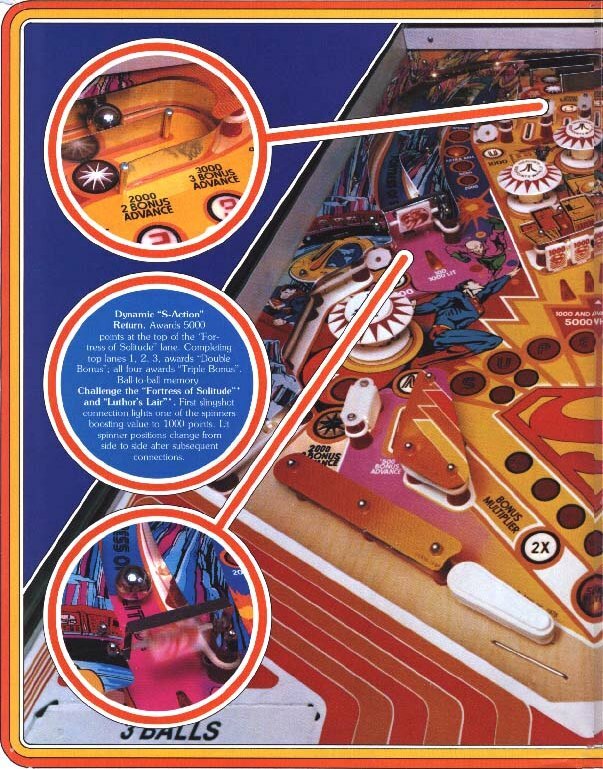 Besides being part of the Superman Online Shop, this page is also an attempt at listing all Superman arcade and video games ever produced. Listings are organised in chronological order based on copyright dates. If you know of any others, email them to me and I’ll add them to this list, but check this list first before emailing me to make sure I don’t already have it. Click on images to view larger version. Produced by: First Star Software Inc. Description: Superman must battle Darkseid through various levels, saving and protecting innocent people along the way. Description: As Superman you must protect Metropolis from Parademons, protect a space station from asteroids, and battle through various other challenging levels of gameplay. Description: Metropolis is in danger of becoming the base of operations for General Zod, as both Clark Kent and Superman you must dodge/fight criminals and villains as you try and solve mysteries and defeat General Zod. Description: A horizontal video game that may be played by one or two players interactively. The two players, one controlling a blue Superman character and one controlling a red Superman character, team up to save the world by battling against the evil alien super-powers. 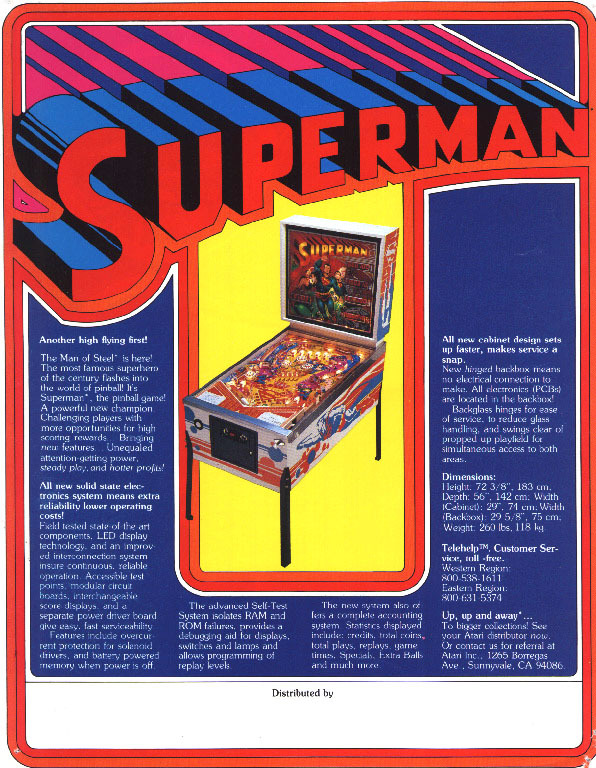 Each player uses a joystick to move his Superman character while walking or in flight. Two buttons aside each joystick are used to throw punches, kick, or emit heat vision, a high-intensity laser which destroys all in its path. By pressing the punch button and holding it momentarily, Superman can throw a blast punch. As Superman picks up various colored crystals, he is awarded with additional energy and weapons, including a Super Blast Punch and Mass Terminator. The Mass Terminator destroys all enemies presently on the screen. Items such as cars, gasoline cans, etc. can also be picked up and hurled at approaching enemies. This is done by crouching down and then standing up. It is possible for a second player to join the game at any time and the players can keep playing with the “Continue Play” options. 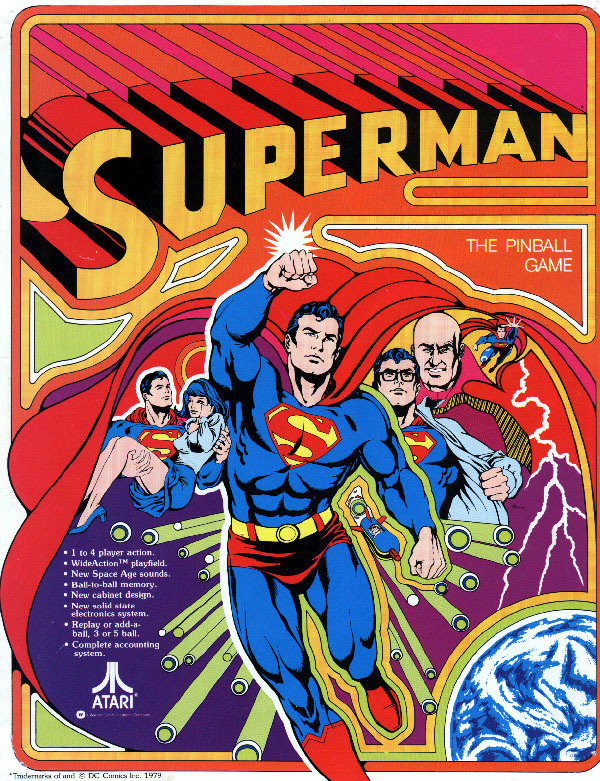 The game begins with Clark Kent running through an empty alley and switching to Superman. The game ends after completing the fifth and final round. Description: 5 levels of adventure in a battle against Prankster, Brainiac, Mr. Mxyzptlk and more, with Superman’s powers including flight, super punch, heat-vision, super strength and a neat super spin move (like a drill). Description: Battle through the streets of Metropolis as various Underworld creatures and other villains attempt to thump you into submission… and through to the ultimate battle with Doomsday himself! Also features levels where you get to fight as Superboy, Steel, Last Son of Krypton and the Cyborg Superman. Description: Six of the DC Universe’s mightiest heroes and battle three of the most dangerous villains. The heroes include: Superman, Batman, Wonder Woman, Aquaman, Flash & the Green Arrow. The villains are: Darkseid, Cheetah and Despero. Superman’s fighting stage is on top of the Daily Planet. Description: Superman must fight against some of his worst enemies in order to prevent them wreaking havoc in the city of Metropolis. Help him destroy them and to stay alive by avoiding the primed bombs ready to explode near him. The game runs for 8 levels with each level getting much more difficult because the villains move faster as the game progresses. Produced by: Titus Software Corp. Description: Defeat the Shadow Walkers who stalk you through the streets of Metropolis, as you collect the necessary keys to continue on to the higher levels. Description: 13 fun and challenging games, puzzles, and activities with the Man of Steel and his friends. Description: Based on “Superman: The Animated Series”, the game’s backstory has Lex Luthor trapping Lois Lane, Jimmy Olsen and Professor Emil Hamilton in a fogbound virtual world. The Man of Steel flies to the rescue in seven major missions that take him from the streets of Metropolis to Brainiac’s space ship. Other missions take place in a warehouse, Lexcorp HQ, a parking garage, S.T.A.R. Labs and the Metropolis subway. Produced by: Brilliant Digital Entertainment, Inc. Description: A multi-path interactive adventure. A top secret component has been stolen from S.T.A.R. Labs, a missing piece of technology leading to reports of missing time. Clark and Lois are sent to investigate. Kitty Faulkener of S.T.A.R. Labs explains the importance of this missing technology and how it might be applied. Clark senses police sirens and, as Superman, flies to Cadmus, where he finds Metallo held at bay by Guardian and Cadmus guards. Metallo is a robot with a human brain, able to bio-mechanically incorporate any technology he touches in his robot body. Description: A multi-path interactive DVD adventure. A top secret component has been stolen from S.T.A.R. Labs, a missing piece of technology leading to reports of missing time. Clark and Lois are sent to investigate. Kitty Faulkener of S.T.A.R. Labs explains the importance of this missing technology and how it might be applied. Clark senses police sirens and, as Superman, flies to Cadmus, where he finds Metallo held at bay by Guardian and Cadmus guards. Metallo is a robot with a human brain, able to bio-mechanically incorporate any technology he touches in his robot body. Product Description: Darkseid, the most evil being in the galaxy, has enlisted the aid of Lex Luthor in his quest to destroy Superman and take over the world. By providing Luthor with highly advanced Apokoliptean weapons technology, Darkseid has enabled Metropolis’s reigning supervillain to create an army of nearly unstoppable Interbot robots with serious firepower. Superman: Countdown to Apokolips offers nonlinear, mission-based gameplay that combines action, stealth, and puzzles. Based on Superman: The Animated Series on the Cartoon Network, the game gives you full access to all of Superman’s powers as you roam 15 enormous, fully interactive levels brimming with usable objects. The voice acting is provided by the original cast of the animated series, and the sweeping orchestral score is worthy of an epic adventure. The game’s supervillains include Livewire, Parasite, and Metallo. An advanced enemy AI makes squad-based tactical decisions in the heat of battle. From the Back Cover: BradyGames’ Superman: Shadow of Apokolips Official Strategy Guide features a comprehensive walkthrough to guide players through each expansive level. Expert boss strategy helps gamers prevail in epic battles with legendary supervillains. Mission strategies and puzzle solutions are also provided. Game secrets and cheats revealed! Produced by: Midway Games Inc. Product Details: Based on Superman: The Animated Series. Full access to all the powers of Superman throughout the game. 15 enormous, fully-interactive levels. Sweeping orchestral score. For 1 player. Product Details: This “Superman – Fight for Metropolis” M.A.G. TV Action Games comes with an all-in-one Game Unit and 2 wireless, motion sensitive Gauntlets (gloves). The wireless gear lets you move the way you want! Use the Gauntlets to fly, punch, kick, use your Super Breath or Heat Vision, just like Superman! Product Description: When villains run rampant, only one man can rescue a world in peril. Will you be able to master your super powers to save Metropolis? Inspired by the Warner Bros. feature film and more than 60 yrs. of DC Comics’ lore. As the Man of Steel, you’ll hone your unworldly super powers such as Flight, X-Ray Vision, Heat Vision, Super Hearing, Strength, Speed and Breath. Play through this huge open world exactly how you want to at your own pace; nonlinear gameplay leaves the experience completely up to you. With villains like Metallo and Parasite and colossal challenges only Superman can overcome, you must monitor and protect Metropolis from destruction. – A comprehensive walkthrough of the entire adventure. – Detailed area maps pinpointing critical locations. – In-depth item and equipment lists. – Signature Series guide features bonus foldout and more! Description: Every hero has a beginning… The Smallville Roleplaying Game lets you experience all the super-powered action and coming-of-age drama of the hit show on the CW Network. Whether you’re struggling against your heritage, your humanity, or your heroic responsibility, you’ll need the support of friends and family in order to embrace your destiny. Players may choose to take on the role of Clark, Chloe, Lois, Oliver, or their own original characters in the world of Smallville. Character Creation: Learn how to create your own superhero or villain and fight alongside your favorite DC characters to save or conquer the DC Universe. Weapon Skills: Discover which weapons are appropriate for various ranges and combat situations. Find out each weapon’s base abilities and special skills. Alerts: Get a quick overview of several of the game’s first Alerts. Find specific strategies and gain insight on general techniques that work well in all Alerts. Powers: Complete rundown of all the major power categories and their functions. Plus each power’s passive bonuses are included. PVP: Tips and tactics for understanding Player versus Player combat. Description: The DC Universe features a dazzling array of characters who have thrilled readers for generations. Now they come to life for tabletop gaming in DC Adventures Heroes & Villains! Volume 1 covers characters A-K, from Abra Kadabra and Adam Strange through Kid Flash and Kobra. 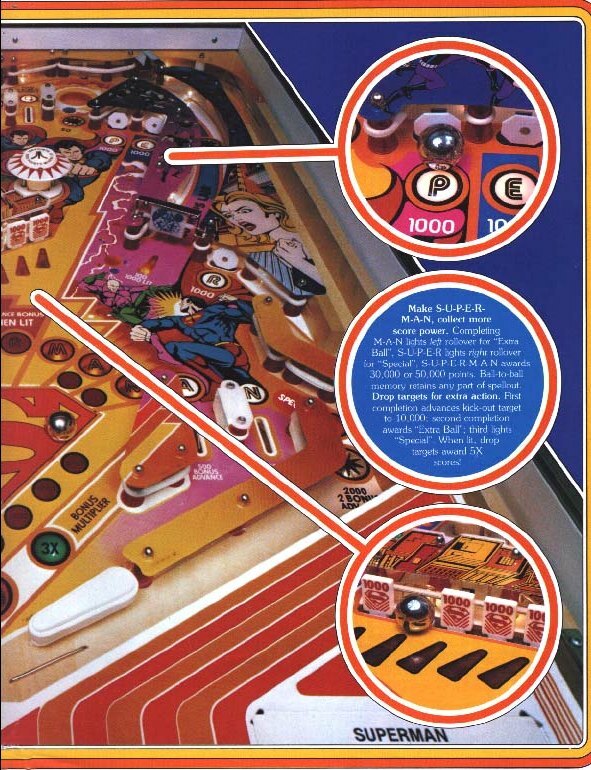 Each entry comes complete with DC Adventures game information, character details, and a full-color illustration from one of DC Comics’ best artists. Heroes & Villains also includes entries on various teams, from the Justice League and Justice Society to the Injustice Gang and the Fearsome Five. With Heroes & Villains in-hand, you have a tremendous wealth of material for your DC Adventures games, all usable with the award-winning Mutants & Masterminds game system. Description: The DC Universe features a dazzling array of characters who have thrilled readers for generations. The two-volume Heroes & Villains set details more than 500 of those characters for use in your DC Adventures games, all featuring character stats fully compatible with the award-winning Mutants & Masterminds RPG. With Heroes & Villains in-hand, you will never lack for characters to use in your game, from heroic guest-stars and villainous foes to heroes suitable as ready-to-play characters. You’ll also have a comprehensive guide for modeling your own DC characters based on existing examples along with a collection of animals and monsters useful for mimics and shapechangers. It’s the comprehensive guide to the heroes and villains of the DC Universe no fan should be without! Volume 2 covers characters from the League of Assassins and Legion of Super-Heroes to Zatanna and Zauriel. Description: Superman joins Batman and Robin in their fight to defend Gotham City from The Joker and Lex Luthor. – Detailed Area Maps: Discover all of LEGO Gotham City’s best-kept secrets.- Easy-to-follow Walkthrough: Details every mission and covers all Free Play content in colorful sidebars.- Find Everything: Strategy to help you collect minikits, Red Bricks, Gold Bricks, vehicles and more.- Quick-reference Checklists: Easily keep track of everything you’ve accomplished.- Bonus: FREE digital web access to the Nintendo 3DS, Nintendo DS and PlayStation Vita platforms containing a detailed walkthrough and expert strategy to help you battle crime in LEGO Gotham City. Description: Based on WB’s animated series airing on Cartoon Network, “Young Justice: Legacy” is an Action RPG where players control multiple characters in a squad created from 12 possible team members to explore, fight, gather experience, and level up. It features both solo and multiplayer missions that follow an epic plotline spanning many locations all across the DC Comics world of Earth-16. Description: “Scribblenauts Unmasked – A DC Comics Adventure” is a new game that melds the boundless creativity of the award-winning video game franchise with thousands of DC Comics characters and objects across DC Comics worlds – all drawn in the classic Scribblenauts art style. The game features a story where players embark as protagonist Maxwell on an imaginative and comical quest, taking them through Gotham City, Metropolis, Atlantis and other iconic locales from the DC Comics universe. Fueled by the player’s imagination, Maxwell must use his magic notebook to put a stop to the villains’ evil schemes and save the day! Description: Variety of play areas based in the mythologies of each character franchise. An accessible attack system broken down into light, medium and heavy attack, with each character having their own specific attacks. Wager battles that allow the winner of the battle to collect a portion of an opponents metered power. Deep multiplayer play options, including local and online play, as well as tournament support. Description: For the first time ever, battle with Batman and his allies in outer space and the various Lantern worlds including Zamaron and Odym. Play and unlock more than 150 characters with amazing powers and abilities, including members of the Justice League, and BIG LEGO Figures such as Cyborg, Solomon Grundy and more. Surprising disguises, Brainiac’s mind control ability, and the power of the Lantern rings bring a whole new twist to characters you thought you knew. Access Batman’s training modules on the Bat Computer and take part in various challenges including battle arenas, races and detective mazes. Visit the Hall of Justice, the Batcave, and the Justice League Watchtower to access shops, trophy rooms, and the hero and vehicle customizers. Description: InjusticeTM 2 continues the epic cinematic story introduced in InjusticeTM: Gods Among Us as Batman and his allies work towards putting the pieces of society back together while struggling against those who want to restore Superman’s regime. In the midst of the chaos, a new threat appears that will put Earth’s existence at risk. Players can play from the biggest DC roster ever offered in a fighting game, from classic fan favourites such as Batman, Superman, Supergirl and Aquaman, to astonishing new villains like Atrocitus and Gorilla Grodd. Battles will take place across arenas that have evolved in scale and span across iconic locations such as Metropolis, Gotham City and Atlantis. Games Never Released or Released Outside U.S.A. Description: Superman prototype for Atari Cosmos game system.